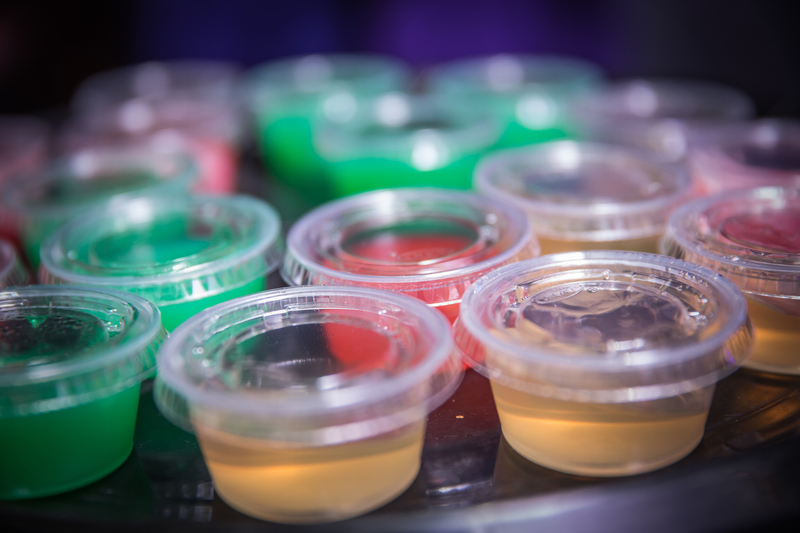 If you haven’t tried moonshine jello shots we both pity and envy you; you’ve been missing out, but there’s a great first experience waiting right around the corner for you! The perfect party snack that delivers and nice kick in a fun package is definitely something to try. But we would surely love to re-live the experience and excitement of trying moonshine jello shots for the very first time. The best part is that it’s not that hard to make some of your own. Here’s a nice handy recipe to keep in mind come next party season. The perfect party favor. Surprise your guests with your very own moonshine jello shots! Pour in Jello & stir until the powder is completely dissolved. Next pour in desired amount of moonshine or vodka. Add cool water to the mix until at the volume indicated on the Jello packets. Place in small paper cups and chill. Allow to sit in refrigerator for a minimum of four hours. From our experience, Jello alcohol mixtures will work up to the point where about 1/2 of the total water volume is replaced with alcohol. So, if the Jello packet says to add dissolve in 1 cup, then add 1 more cup after, you can safely replace approx 1 cup of water with your moonshine. Be aware of the proof of your shine! Adding 1 cup of plain store bought Vodka vs. adding 1 cup of your fire-breathing shine is a big difference! Feeling adventurous? Try hollowing out some lime halves to pour/set the mixture in instead of the cups!